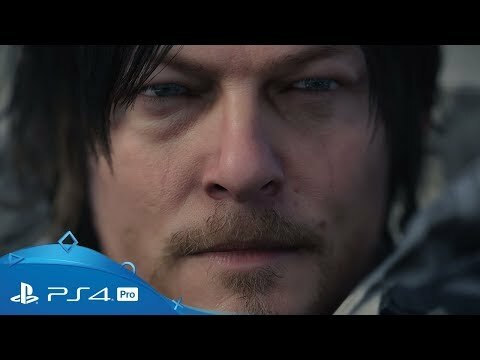 Изживейте уникално пътешествие от легендарния създател на игри Hideo Kojima. Поеми контрол над работещия човек Sam Bridges. Той трябва да оцелява в смъртоносен и загадъчен свят, където смъртта дебне отвсякъде. 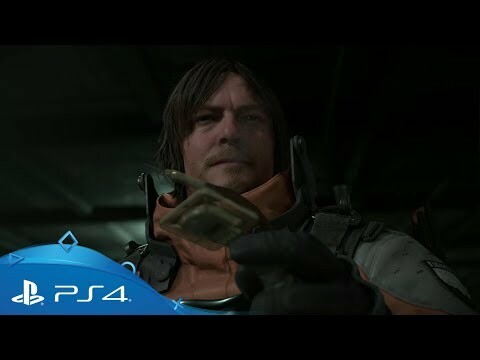 Death Stranding е уникална и незабравима игра с участието на звезди от цял свят, включително Norman Reedus, Mads Mikkelsen, Lindsay Wagner, Léa Seydoux и Guillermo del Toro. While we’re spending the holidays happily sinking time into our favourite PS4 games of the past year (or revisiting some classics), we already have an eye on what’s to come for the console. And we’re not the only ones. Even while they’re busy working on their own projects, our favourite developers are also looking forward […] The post Top PlayStation developers pick their most anticipated upcoming PS4 games appeared first on PlayStation.Blog.Europe. This latest E3 2018 trailer is the fourth for Death Stranding. The first teaser was released two years ago at E3 2016, with the second and third appearing at TGA 2016 and 2017. Work on the first teaser started shortly after establishing Kojima Productions. At the time we were working out of a temporary office, […] The post Watch the extraordinary new Death Stranding trailer from E3 2018 appeared first on PlayStation.Blog.Europe. We’re well into 2018 now, and the road ahead is looking mighty fine indeed. With a stonkingly huge number of exclusives confirmed to be hitting PS4, your console will be the epicentre of some truly great adventures to come. Over the past E3, Paris Games Week and PSX shows, there’s been such a huge number […] The post 14 massive upcoming PS4 exclusive games worth clearing your diary for appeared first on PlayStation.Blog.Europe. It’s been particularly hard to avoid being swept-up in the wave of Death Stranding, ever since Hideo Kojima appeared on stage at last year’s Sony E3 conference and triumphantly declared to the cheering crowd – “I’m back”. And with a bang, it seemed. The reveal trailer for Death Stranding was one of the most talked-about […] The post The Hideo Kojima Death Stranding interview: Strands, Decima and Guerrilla Games appeared first on PlayStation.Blog.Europe.